Montepulciano June 2-11 (or 16), 2018 Booking Now! Arezzo Aug 31-Sept 11 (or 15), 2018 Booking Now! My Small Group “Matta” Italian Language Workshops in Italy incorporate structured study time with well known Italian language schools and teachers. In the mornings we join and participate in Italian classes suitable to our language levels. In the afternoons we go on group excursions and participate in activities that allow each participant to immerse in the culture of the city or region in which we are staying. Each “Matta” program is custom designed by me and my Italian Partners. Together we create original programs that include: organized dinners, wine tasting events, cooking classes, excursions and art activities. I invite my Italian friends to join my groups, so that those who travel with me have a continued chance to immerse in the language, make Italian friends and practice language skills in a meaningful and fun way! I and my language partners, encourage conversation throughout the entire program. We create a warm and friendly environment in which it is easy to practice the language and to keep using the language all day long! 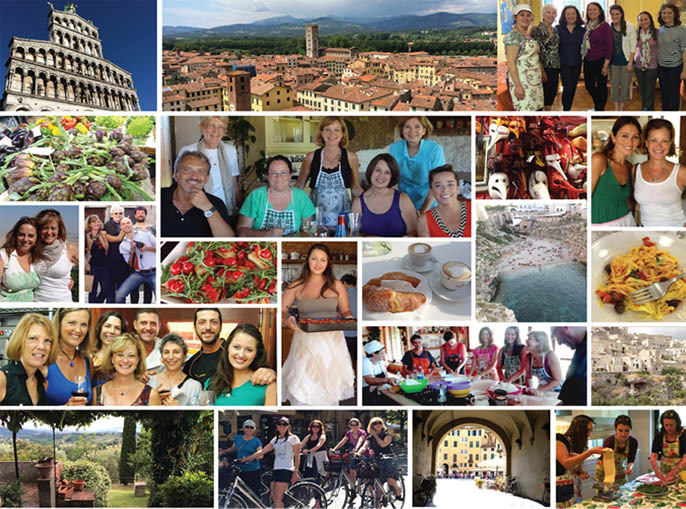 A Homestay Italian Language Vacation offers you the chance to immerse in Italy’s language and culture in a comfortable family environment. I am pleased to offer readers of the Studentessa Matta Blog several choices for Italian Homestay Language Vacations from Bergamo and the Lake Regions of Como and Lago Maggiore to Florence, la Maremma, Venice, Umbria, the Amalfi Coast and Sicilia. Nothing is more effective for learning a foreign language than to live in close contact with a tutor who is specialized in teaching their native language in the country where this language is spoken! Spending an entire day in a family context, combining a few hours of “traditional” teaching to the many stimuli that daily life offers (TV, dining, walking) is the most natural and less stressful way to make progress in learning a language.